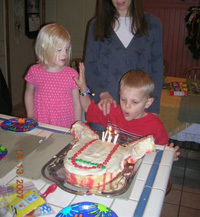 William turned SIX years old on December 13th!!! 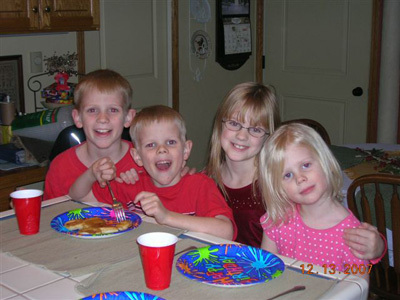 Here are Thomas, William, Marianne, and Sarah at William's birthday party which we celebrated at my parent's house. 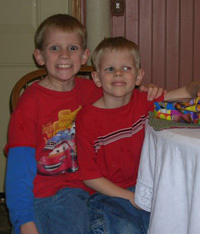 Richard and my dad were both out of town so we had a little party with Grandma Dixie! She was nice enough to let us have William's birthday dinner (waffles) at her house also. 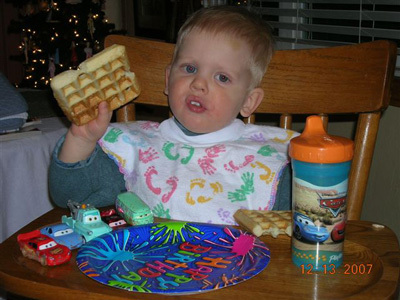 I especially like this picture of James eating his waffle. Notice his cars all lined up next to his plate. He does this often. And here is the cake that I whipped up at the last minute (literally). 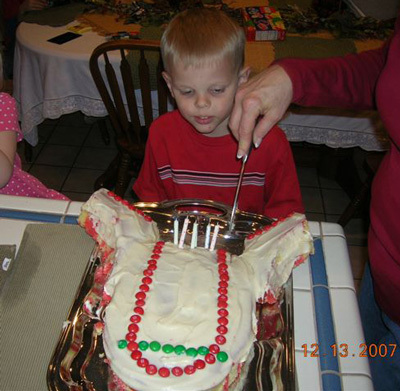 It didn't fit on the platter as you can see, but luckily, William is a very easy-going kid! He didn't care. 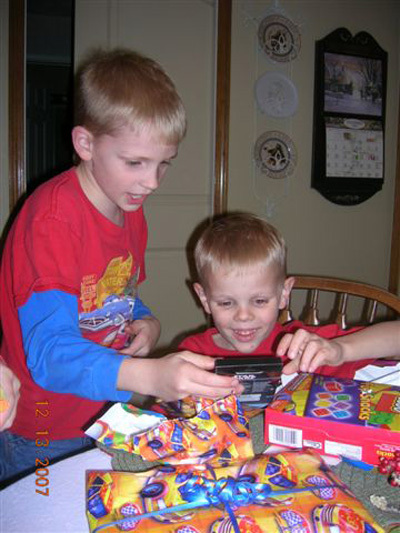 Thomas is helping William check out his presents from Grandma Dixie. Way cool! 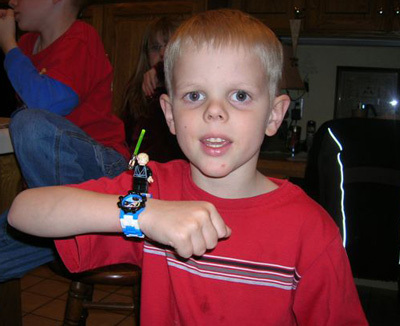 Here is William showing off his cool Star Wars Lego watch. 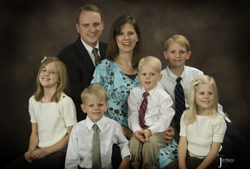 We are so happy to have William in our home. He makes us laugh on a daily basis, and he helps me to realize that maybe it's okay to slow down a little and just take life as it comes.